Chunky styled shower door handles. Supplied in a complete set enough for a pair of shower doors. The handles are the same on the inside as out with a polished chrome styled finish. 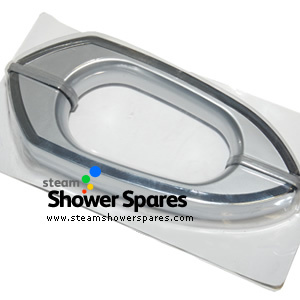 These handles are designed to fit onto shower doors with a pair of holes 145mm apart.